Atlantis Submarines and Sergio's Italian Restaurant have teamed up to offer a Waikiki undersea tour and dining experience that saves guests up to $32 per couple. The 90-minute submarine tour -- offered each hour from 9 a.m. to 3 p.m. -- begins with a cruise to a dive site with breathtaking views of the Waikiki shoreline. Guests descend to depths of 125 feet in a spacious, air-conditioned cabin with large viewing ports for each seat to see undersea life including green sea turtles, stingrays and reef sharks. Back on shore, a short stroll from the pier where the tour disembarks, is Sergio's, which is offering a three-course menu for this package. Guests can choose from one of three dinner entrees for the main course: Fettuccine al Ragu Toscano, Rolata di Pollo or Vitello all Milanese. They also select a starter and dessert. Children choose from their own menu. 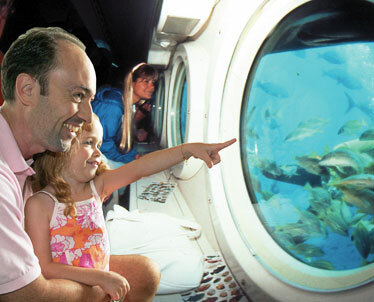 All Atlantis guests get a clear window to a world usually inaccessible without getting wet. The "Sub and Sergio's Combo" is offered for $129 for adults and $77 for children 2 to 12 years old. Prices do not include the harbor fee or general excise tax. Sub tour and dinner reservations must take place the same day. Guests should be able to navigate the sub's nearly vertical seven-step ladder, and keiki must be at least 36 inches tall. 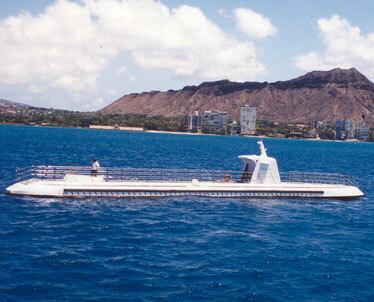 Complimentary transportation for the sub tour portion of the combo is available from select locations in Waikiki. Call Atlantis at 973-1811 for reservations.